Actress and disability campaigner Sam Renke discusses why brands need to make accessibility a priority. 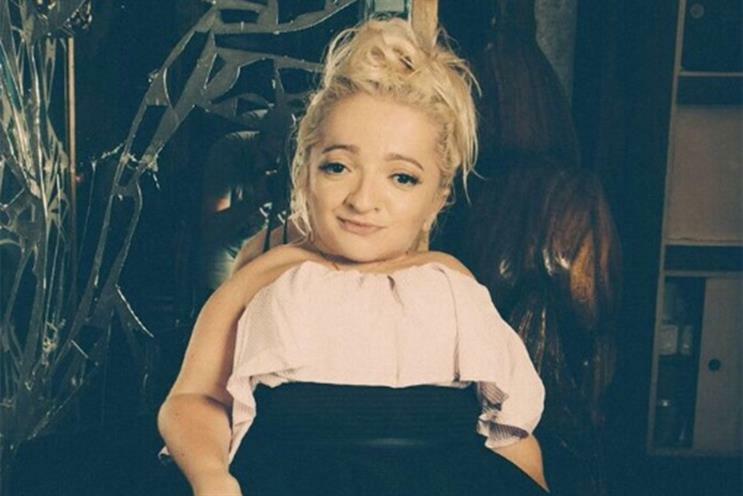 The actress and disability campaigner Sam Renke has called on brands to do more to ensure their stores and spaces are accessible to disabled people. Urging the industry to think about more than just representation, she said: "It is not enough to have disabled models in your advertising if we can’t access the counters of the stores we shop in." She urged creative agencies, brands and businesses to instead think about accessibility from the outset. "Having disabled people in ads is just the start," she pointed out. In June, Renke criticised Zara for not educating staff on how to assist disabled customers after she was unable to make a payment at a till at its newly refurbished Stratford Westfield store. Recalling the experience, Renke said: "I could feel my cheeks getting red and tears well up in my eyes. I just wanted to do some shopping and what was supposed to be a lovely day out turned into a humiliating and frustrating experience." Since the incident, Renke has started to take pictures of every store, bar, street or form of public transport that isn’t accessible and has launched the social media campaign #DontWantOurCash, which is designed to raise awareness of the access issues that disabled people face on a daily basis. She has urged any people who struggle to access a product or service to share a picture of their experience on social media using that hashtag. While the representation of disabled people in advertising has risen up the marketing agenda, Renke argued that this has not been reflected within businesses. According to Renke, there is also a significant business argument for brands and the creative industries to urgently address the accessibility issue – not least because the "purple pound" (the spending power of disabled people) is estimated to be worth about £249bn a year to the UK economy. She explained: "People aren’t spending [with brands that do not prioritise accessibility] because why would they want to spend with companies who don’t think about our needs? We are the single largest untapped consumer market. "I’ve never seen anybody in a wheelchair working in a shop. Brands need to employ more disabled people and think about their needs right at the beginning. At too many companies, they don’t ask anyone for advice, they just put a disabled person in an advert and don’t think about the fact that their shops aren’t actually accessible to disabled people." Renke urged companies to make a commitment to improve accessibility over the next six months: "It might be something small, but if you speak to people and get a real grasp of the issues, we can make a change."